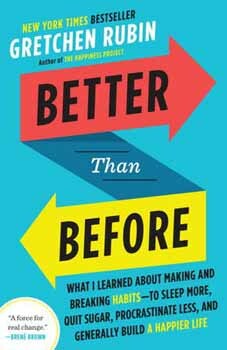 From the author of the blockbuster New York Times bestsellers The Happiness Project and Happier at Home comes a book that tackles the question: How do we make good habits that are easy, effortless, and automatic? At times, I've picked up a habit overnight, but other times, it's taken years to develop. Why? Why do some people resist habits, while others adopt them eagerly? I want to help my child/spouse/colleagues make a change. What can I do? Why do I resist other people's advice on how to change, even if I think they are right? How do I make good habits convenient and easy?